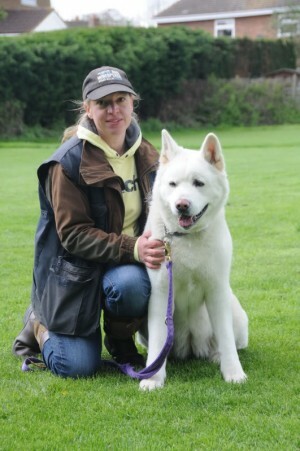 Tamsin-Jane has in excess of 12 years’ experience working with dogs and specifically spitz breeds such as the Akita. Her special interest is the rehabilitation of rescue dogs due to her previous experience in this field. Tamsin-Jane currently own’s a Newfoundland called Norman and a French Bulldog called Beauvais both of which are used as part of the Do Behave rehabilitation team. Her approach to advising on behaviour problems is by using dog psychology coupled with human psychology to obtain the best results for both dog and owner. Tamsin-Jane use’s positive training approaches coupled with focusing on breed typical traits to assist in the management of problems. Tamsin-Jane also instructs Puppy/Junior/Advanced Classes at her centre in Over, Cambridgeshire, with class sizes ranging from 4 to 14 dogs. From here the Cambridge Canine Behaviour Group and Do-Behave was established to marry the skills of instructing and behavioural work to assist in the rehabilitation of behaviour problems in all breeds.